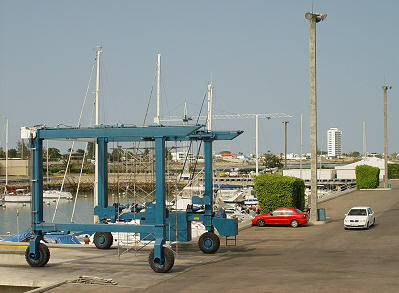 The marina's Travelift parked by the launching well in the boatyard. The Travelift was meticulously maintained. 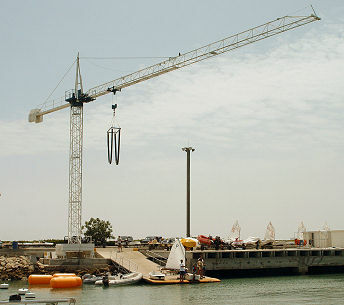 This crane is used to launch small boats that are too small for the Travelift (such as the very popular sailing dinghies that club members race). You can see the crane in the background of the previous picture. 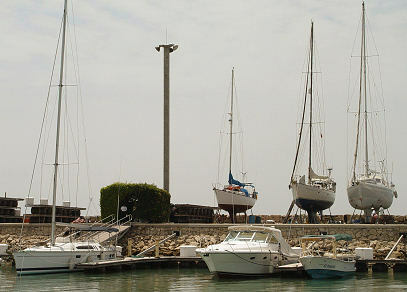 The other side of the marina's basin has conventional slips with floating docks. 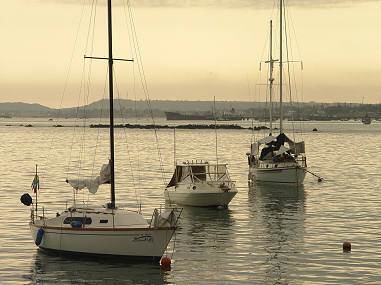 The marina also has a mooring field in the harbor, just off the coast. 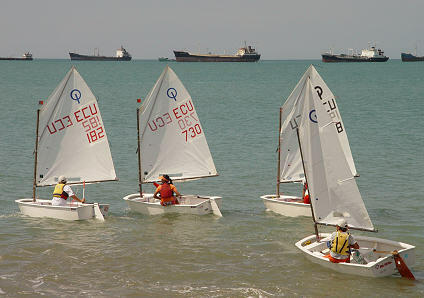 Children racing sailing dinghies in the harbor near the marina. 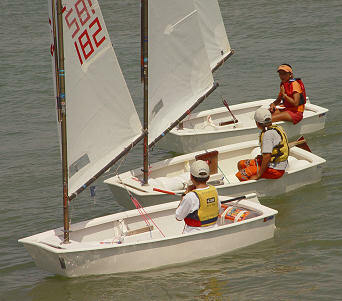 Sunday was a popular day for marina activites like sailboat races. Close-up view as they passed near the rip-rap wall. 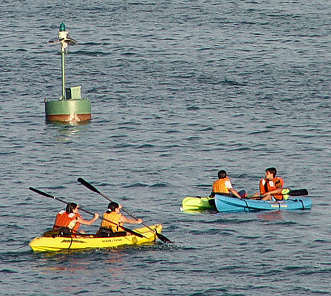 Kayakers paddling in the harbor near the marina.